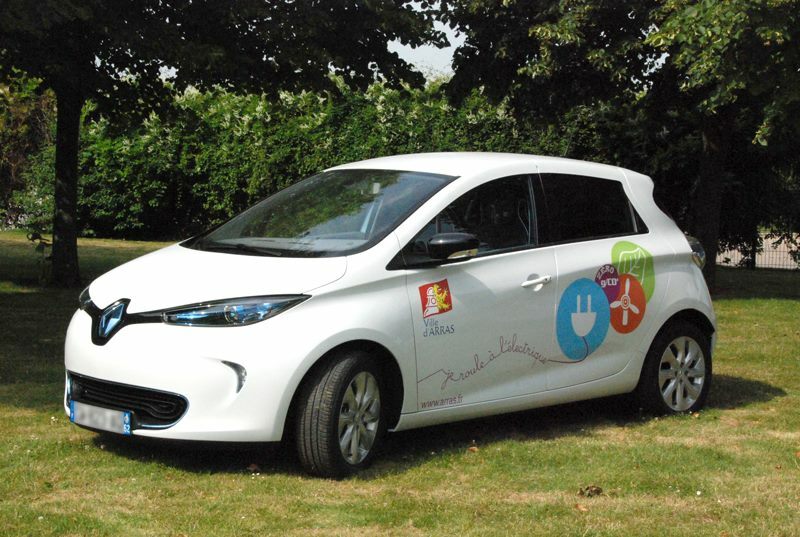 Aiming to gradually make its fleet of municipal vehicles 100% electric, the City of Arras in northern France has acquired five new Renault ZOEs. Arras has been pursuing a policy of sustainable development since 2008, and began replacing its combustion engine vehicles with EVs three years ago, when it acquired nine Renault Kangoos for its maintenance department. By 2014, another 15 EVs are scheduled to integrate the city’s 60-strong fleet. As well as providing ecological benefits for the city, the five new Renault ZOEs offer financial advantages. The purchase price (15,000 euros) was the same as for a comparable combustion engine vehicle. Furthermore, the ZOE has an autonomy of 150km, and fully recharging the battery costs just 2 euros, making it considerably less expensive to run than a traditional car. The vehicles will be used by senior staff for external visits, meetings, and other local journeys. Arras is also involved in sustainable mobility project on a regional level. The Nord-Pas-de-Calais region is financing the development of a local network of charging points, with stations set to be implemented in Arras, St-Omer, Maubege and Boulogne-sur-Mer. The aim is to facilitate zero-emission journeys in the area and promote EV use among the public.